We have 11 guest(s) and 0 member(s) online. Overview: Intel reports a possible source for chemical storage location maps being stored on field unit laptops in a village west of An-Najaf. 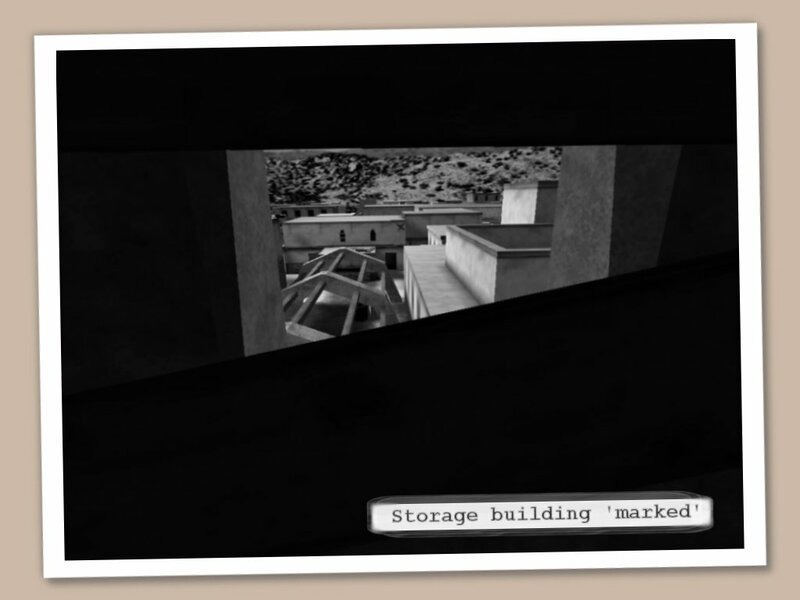 Intel believes that two of these field unit laptops are located within a local storage building and an enemy radio station. These buildings were marked with a red painted X on their front wall by one of our forwarding troops that crossed the village earlier today. However, our troops encountered heavy resistance and were not able to move on. 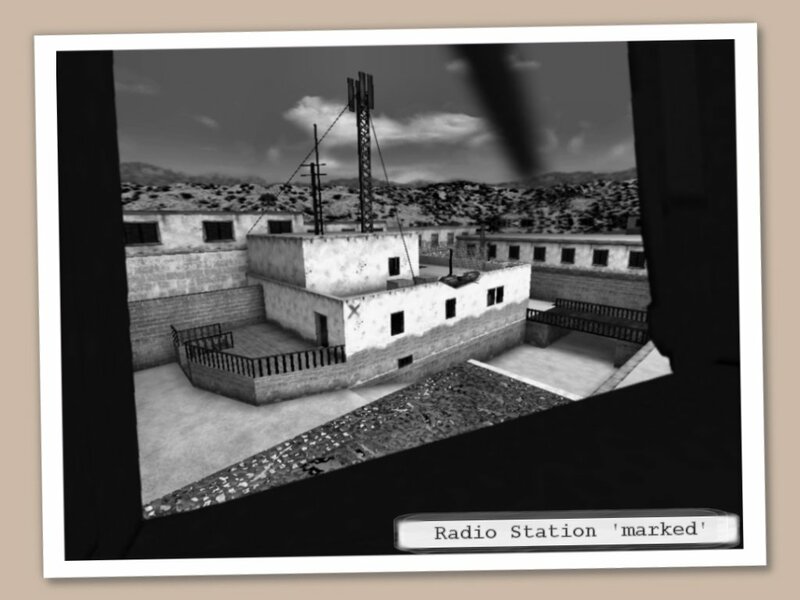 The cavalry took some reconnaissance photos while sweeping the area and extracted wounded forces from a cleared alley in the northern part of the village. The remaining forces tried to move on and got stuck before they were able to move out. Their disabled Hummers are still located near your extraction area. They are not drivable, but use their mounted M2 heavy machine gun if you see the need. Battle Plan: Your team will be inserted in an area at the edge of the village from where you will move on towards the enemy's stronghold. 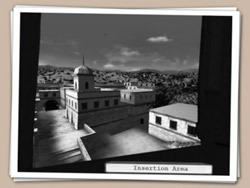 Your main objective is to secure the location maps stored on those field unit laptops located in the marked buildings. We only need one CD, but if you get the opportunity, don't hesitate to capture both to help ensure a successful mission. 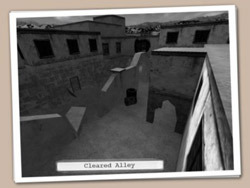 The cleared alley in the north is a perfect spot for inserting additional reinforcement troops. Secure it to let the cavalry move into position. This task will not be as easy as first expected. 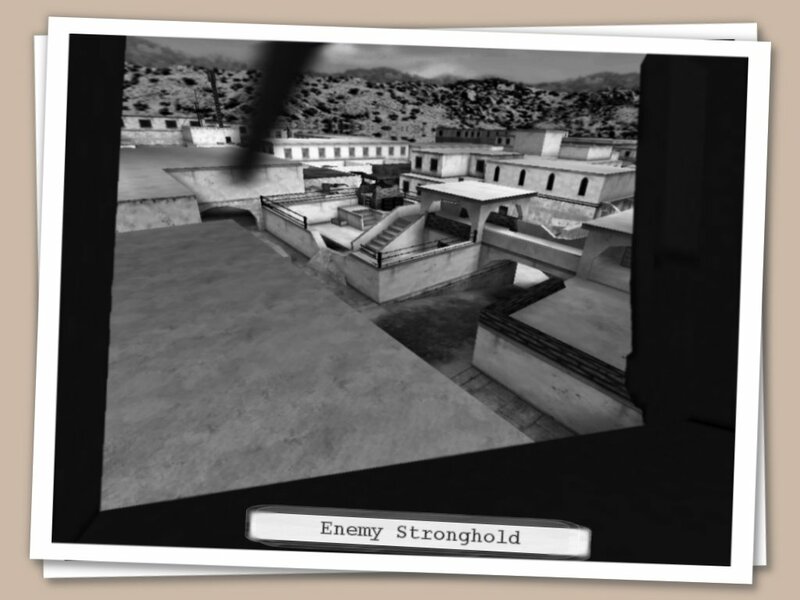 It was reported from our other troops that the enemy has an M2 heavy machine gun nest covering this position, so prepare for a heavy firefight. This is a perfect opportunity for you to take advantage of the cover an AN-M8 smoke grenade can give you. It will take a well coordinated attack to breach the enemy's first line of defense. Once this line is breached, the enemy reinforcements will retreat into the stronghold. 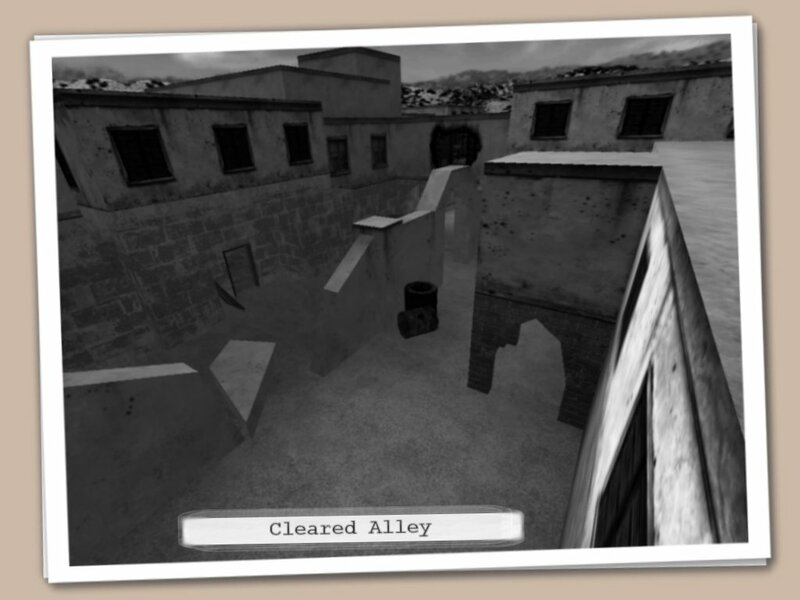 Sending squads up both the archway and northern alley may be your best option to confuse and overwhelm your enemy. Air support is available on request. 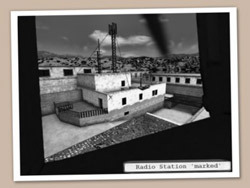 Use radio transmitters found in the target buildings to call the cavalry for a sweep run. 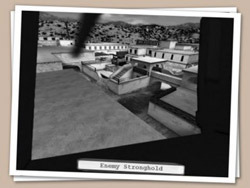 Secure a perimeter around the Stronghold to push the enemy back past our planned extraction point. Once you have secured the data, make your way to the extraction point at the western edge of the village. You should find our remaining troops in that area and they should be able to support your extraction. Get to the highest point possible on the extraction building to reach safety. 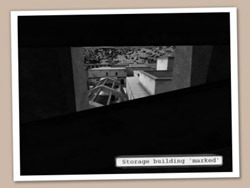 Beware of enemy snipers from rooftops as well as the numerous windows which overlook this area. Good luck, soldier. Move out!